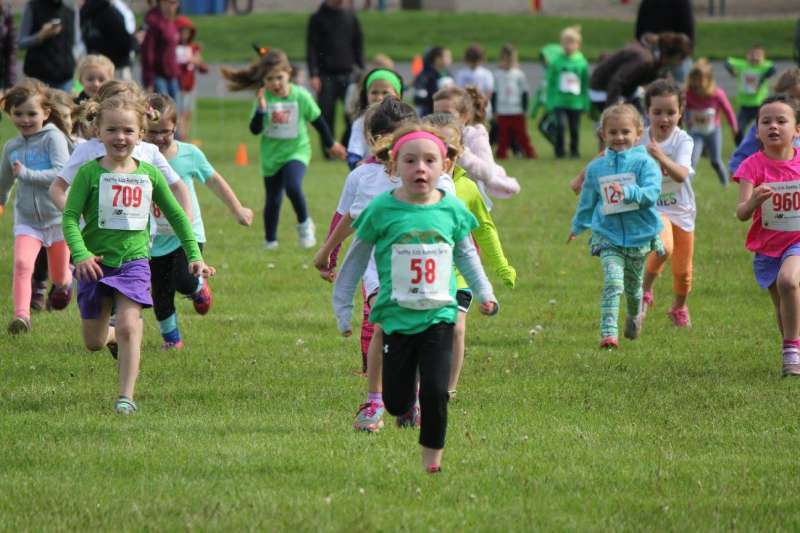 The Healthy Kids Running Series is a five-week running program in the spring and fall for kids from Pre-K to 8th grade. Each Race Series takes place once a week and offers age-appropriate running events including the 50-yard dash, 75-yard dash, the 1/4 mile, the 1/2 mile, and the one-mile run. Kids compete each week of the Series for a chance to earn points and at the end of the Series the top boy and girl with the most points in their respective age division receive a trophy. It doesn't matter how fast or slow you run because all participants receive a medal and gift bag for their achievements courtesy of our sponsors! The $35 registration fee covers the entire 5-week series and is non-refundable.